When California voters passed Proposition 64 in November, they effectively legalized recreational marijuana use in the state. This made California the seventh state to legalize recreational marijuana after Oregon, Nevada, Colorado, Alaska, Maine, and Massachusetts. 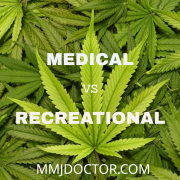 Recreational marijuana is also legal in Washington D.C. It’s important for those interested in buying and using marijuana for both recreational and medicinal purposes to fully understand what this new law means and how it affects them. 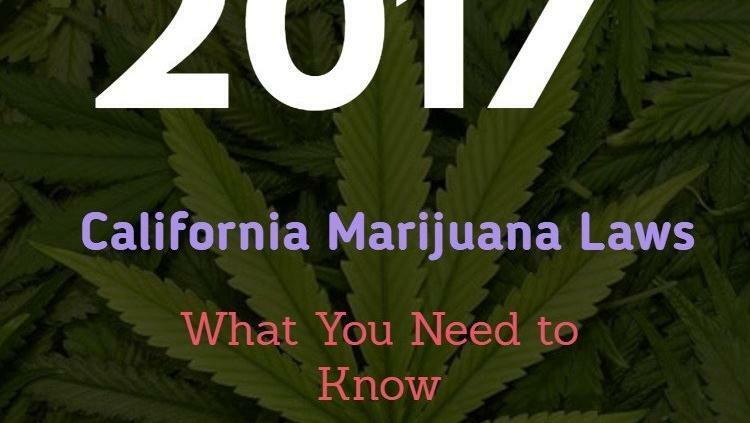 Here is what you need to know about Proposition 64 and what it will mean to California residents when the law broadly goes into effect in 2018. Medical marijuana use has been legal in California since 1996. 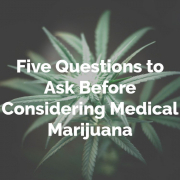 Those who have been approved by a physician can legally purchase and use medical marijuana to treat a number of conditions including glaucoma, arthritis, GI disorders, anxiety, depression, and chronic pain. 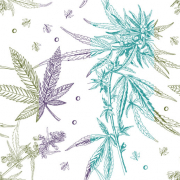 Medical marijuana typically has lower concentrations of the psychoactive chemical THC and is higher in cannabidiol. 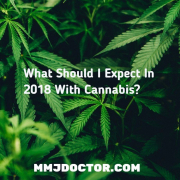 Medical marijuana users can work with dispensaries in their state to find the ideal strains and potencies that effectively treat their medical conditions. 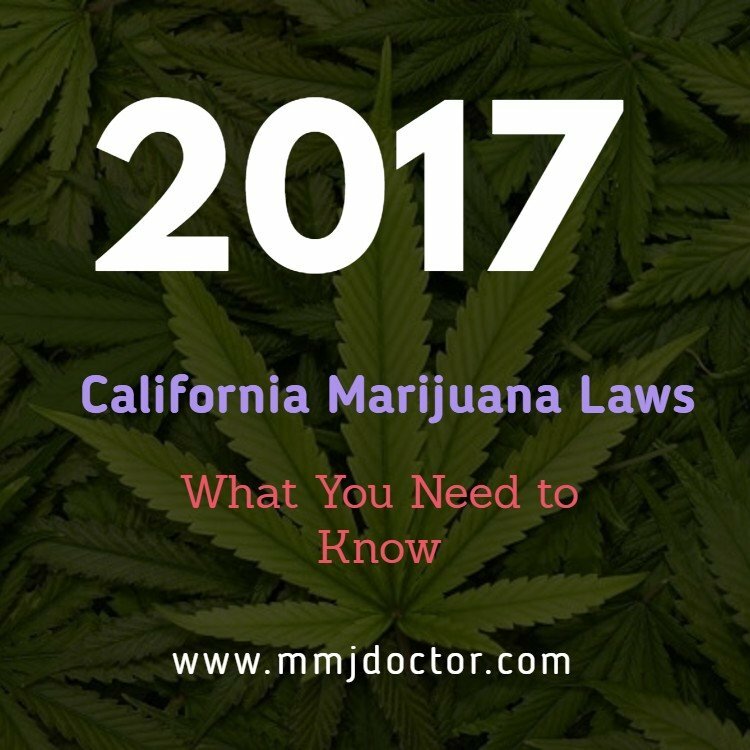 Those who currently use medical marijuana will be largely unaffected by California’s new marijuana laws. They can continue to legally purchase and use medical marijuana with a doctor’s note or a state-issued ID card and may continue to grow plants in their homes for personal use. However, those with state-issued ID cards will now be exempted from sales tax on their purchases, so it’s important that they still carry a valid MMJ ID card. Medical marijuana dispensaries were the main source of legal purchases of medical marijuana before Proposition 64. It is unclear whether they will continue to operate into the future or whether they will be combined with recreational dispensaries and stores as recreational use is legalized. The new law includes strict state and local requirements to operate a dispensary and those who want to operate a marijuana store or dispensary must get a license from the state. At-home delivery of marijuana will be legal under Proposition 64. 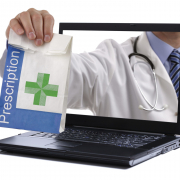 Though legal dispensaries must operate out of a physical location, they can still conduct sales by delivery. This applies to stores that operate out of a non-storefront warehouse and conduct 100% of their sales via delivery. However, local communities will have the authority to ban delivery of marijuana in their jurisdictions. Those licensed to sell marijuana should check with their local laws to see if delivery is legal in their specific location. Even though recreational marijuana will now be legal, it is still illegal to smoke it in public. It’s also illegal for any recreational marijuana shop to open and operate within 600 feet of a daycare center, youth center, or school. Medical marijuana users may smoke in zones where regular smoking is allowed, but they may not do so within 1000 feet of a school or youth center unless they are in a private residence. It’s highly recommended that both medical and recreational marijuana users remain discreet when using the drug in public. 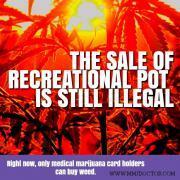 Though marijuana is now technically legal, limiting use to personal residences is preferred. 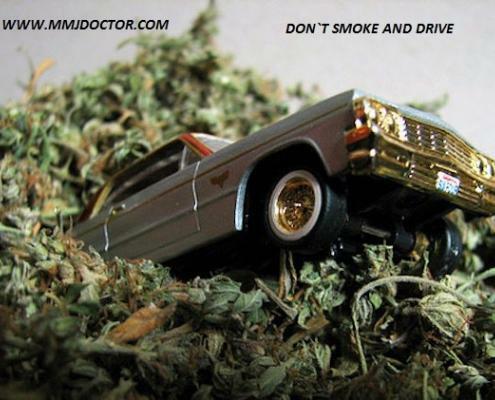 Marijuana laws related to driving will be similar to those involving alcohol. No ‘open containers’ of marijuana will be allowed in motor vehicle. This includes any open container or receptacle of marijuana or marijuana products including edibles and vape pens. It also applies to containers that have been previously opened, have broken seals, or are loose and not in a container. Open containers can legally be stored in the trunk of a motor vehicle even when it is in use. Violation of this law can result in a $100 infraction. Marijuana legally purchased in a state is also illegal to take over state lines. The penalties vary depending on the state you are driving to or from and on what form the marijuana is in. 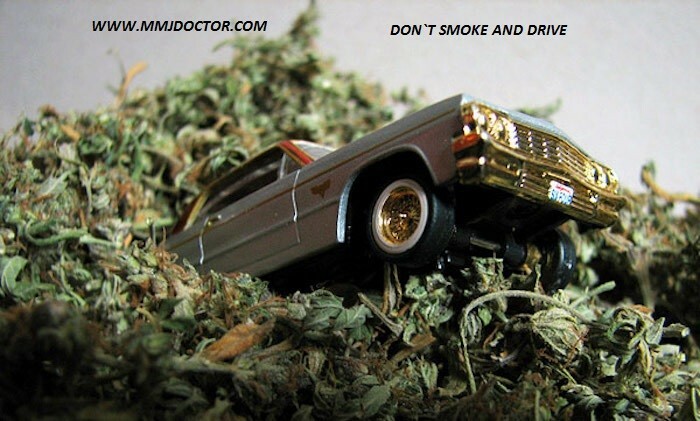 Those who have been approved to use medical marijuana may drive with a closed container of marijuana that has been previously opened but are not allowed to actively use the drug while driving. Under the new law, California residents over 21 years of age may legally carry up to 28.5 grams of marijuana and 8 grams of the concentrated form of cannabis. They can also grow up to six plants in their homes but the plants must be in a locked area that is not visible from the outside. Local jurisdictions can ban outdoor growing of marijuana, but have no control over indoor cultivation. Those who are caught growing more than six plants in their homes can be charged with a misdemeanor and face fines and jail time. Those under the age of 21 who possess, buy, or grow marijuana are violating the law and, if caught, could face mandatory drug counseling, community service, and fines. Medical marijuana users abide by the same rules but may start purchasing, using, and growing marijuana at the age of 18. The commercial sale, production, and cultivation of marijuana will only be allowed by providers that are licensed by the state. Licensed sellers may not sell marijuana to anyone under the age of 21. Those who manufacture, cultivate, or sell marijuana without a license or who sell it to minors could be punished with county jail time and fines up to $500. 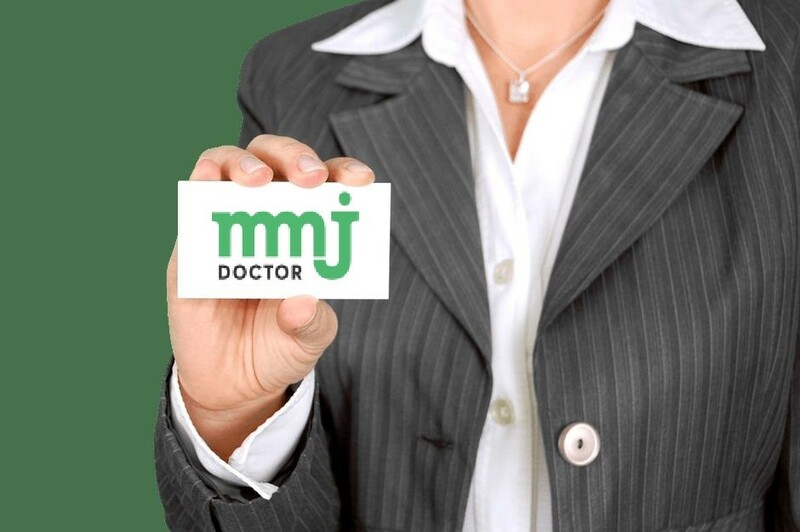 Those who have been approved to use medical marijuana in a treatment program for conditions such as glaucoma, cancer, multiple sclerosis, or anxiety disorders should continue to obtain and renew their state-issued MMJ ID cards. The new laws will take time to go into affect and may still face continued legislation. 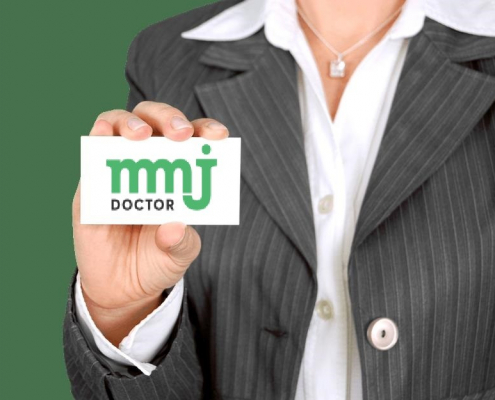 State-issued MMJ ID cards will allow medical marijuana users to continue legally purchasing the drug at dispensaries in the state and exempt them from law enforcement detainment. Getting a state-issued ID cards will continue to be an easy and efficient process. 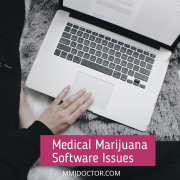 Those who qualify for medical marijuana use can simply go online and fill out the necessary forms and get their approval within minutes. If you have any questions about how the new laws will affect your use of medical marijuana, please contact us for more information or click this picture to start online process of getting your medical marijuana card online.